So Miguel didn´t get baptized this week cause he had to work. But he will get baptized this week with his nephew Joaquin! They are so ready and excited. They are progressing very well and excited to recieve more of what The Lord has in plan for them. We have found a lot of investigators this week. All from different backrounds, rich and poor, old and young, innocent and troublesome. Most of them have a desire to change and better themselves by following Christ. We hope we can help them to get to the desires that they want. We found a chosen Familia this week. Familia De La Silva. Gustavo, the father of the familia, was outside and watching us walk and knock doors. He told us to come in from the other side of the street and have some water cause it was very hot. 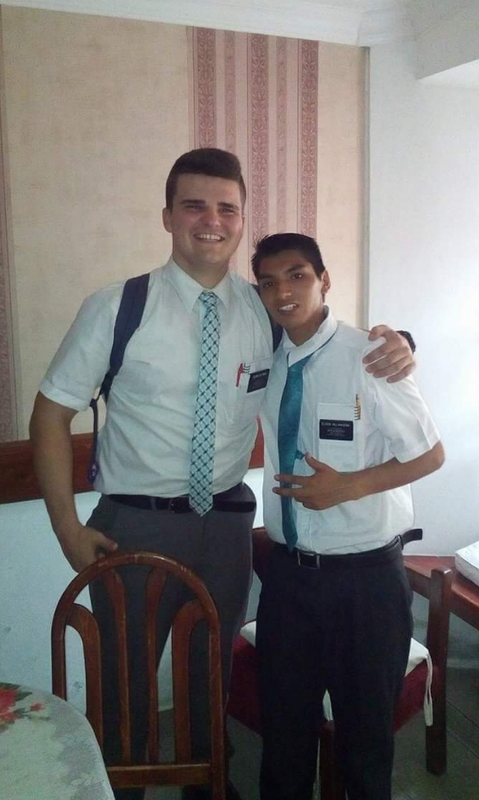 He talked with us and has family that are LDS. He wants to find change in his life and for his family to be more in unity.